Made from a mashbill of 95% rye and 5% malted barley and comes in small batches, so you have to expect a top notch rye whiskey. And that’s just what Bulleit “95” Rye Whiskey is. This rye whiskey doesn’t have an age statement, it contains 4 to 7 year old whiskeys. This gorgeous dram has won Double Gold at the San Francisco World Spirits Competition in 2013. It is fresh and strong whiskey, coming from Midwest Grain Products of Indiana from Lawrenceburg. They are responsible for many brands, such as George Dickel, Redemption, Filibuster, James E. Pepper, Smooth Ambler and some of the High West ryes. “Bright and sizzling with mint and meadow grass. Really good, reasonably priced, and generally available”. I agree when it’s even available in Finland! Being fresh and adventurous, coming from Indiana and calling itself a frontier whiskey: I’ll call it Indiana Jones. And if I had to pick a certain Indy movie, Kingdom of the Crystal Skull would be it. Just because the title fits well with this bright dram. Nose: Freshly spicy rye with herb notes and peppermint. Mild tobacco note is there. Nose is much more delicate than the taste and aftertaste. Taste: Sweet smoothness combined with rough and powerful rye. Tropical citrus feel is present: crispy lemon and peppery notes. Strong and spicy, yet manages to be smooth. Nice mix of mint and fruits. Finish: Warming with spices and minty fresh notes. Cinnamon is present. Balance: Good rye whiskey, managing to combine sweet and breezing fresh notes with strong rye. Thanks for the comment “Indy”. 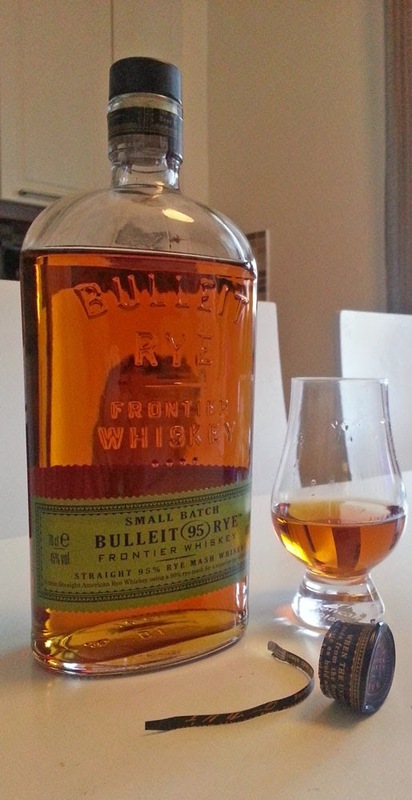 Actually, the Bulleit Rye does come from Lawrenceburg, Indiana. Made by Midwest Grain Products (MGP Indiana). Bulleit Bourbon, their main product, is from Kentucky. Like the headquarters of Bulleit brand. Yes, the citrus notes make this rye whiskey special, truly a good rye dram!